Friends, colleagues and family members of Dubai based radio jockey (RJ), Jean Markose, are jubilant with his movie 'Angel' running successfully in India for more than 45 days. Film enthusiasts are eagerly waiting for the movie to release in the UAE theatres. Markose's directorial debut, 'Angels' is a social thriller with Dubai based artists. Speaking to Emirates 24|7 a jubilant Jean Markose said, "In the Arabian Radio Network's Malayalam Radio Station, I have always been surrounded by my celebrity colleagues who have excelled in Malayalam movies. It is after working 10 years that I decided to direct a movie, which was a more challenging job than an actor or actress or a music director. As a debut director, I had to oversee everything related to a movie and I am happy that 'Angles' has been well received in Kerala. "We hope the Keralite expatriates in the UAE will also like the movie. Two prominent roles are played by artists who have close links to the city – Joy Mathew, who plays the psychic priests role." While talking to this website, Markose revealed his future plans. "I have already started work on my second movie project. My wife and colleague, Maya Kartha, who is one of the producers and is equally thrilled as 'Angels' is rated as a hit movie." A film enthusiastic, Markose has worked in Hit 96.7 for over a decade. Before his new venture as a feature fillm director, the RJ has perfected his skills directing many short films. His confidence grew when some of his short films were recognised in the short film festivals in Dubai. Recently many Malayalam movies have been performiing poorly at the box offices, but 'Angels' has been doing well, according to film critics. 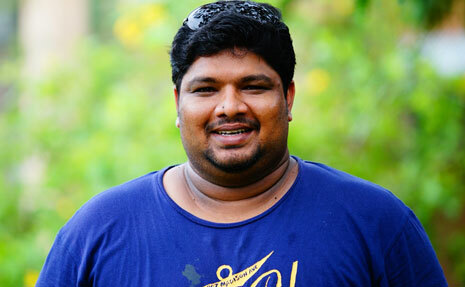 The debutante director has completed the marathon project within four months including 32 days shooting in Thiruvananthapuram, Kerala and Hyderabad, Andhra Pradesh. Major roles in the movie are played by the Dubai based artists – Asha Sharath, who plays the role of a TV anchor Haritha Menon and Joy Mathew, formerly a journalist in Dubai. Markose and his colleague from Hit 96.7, Shabu Kilithattil, wrote the dialogues of the movie. Nyla Usha, another RJ of the station has played lead roles against Malayalam superstar Mammootty and is scheduled to act in many new movies. Asha Sharath, formerly an RJ with Radio Asia, has risen to prominence through popular pulp serials and 'Drishyam', a Malayalam movie starring Mohanlal. At a time when many Non Resident Indian businessmen are venturing into film financing as a new area of investment, 'Angels' is produced by a group of friends - Linu Issac, Hisham Basheer, Saju Azad and Maya Kartha under the banner of Cloud 4 Cinemas. The making cost of 'Angels' was around Rs 30 million (INR). The film was initially released in 56 theatres in Kerala and 10 in Karnataka and Tamil Nadu and now it is running in 15 cinema theatres across the state of Kerala.